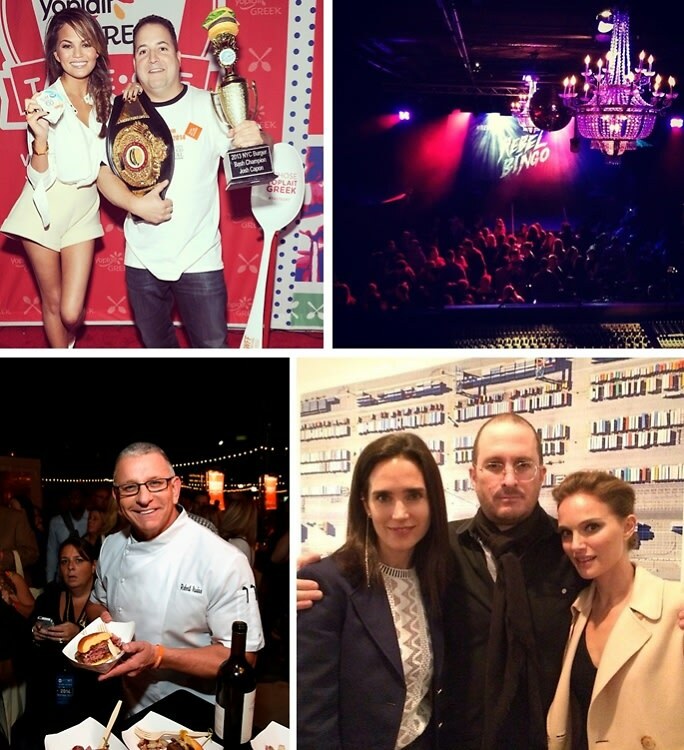 Last Night's Parties: Chrissy Teigen Indulges At The New York City Wine & Food Fest & More! Over the weekend in NYC, funny gal and food-fan Chrissy Teigen stopped by the New York City Wine and Food Fest Burger Bash, Natalie Portman, Jennifer Connelly, and Darren Aronofsky attended the Woodstock Film Festival, the 94th Annual Far Hills Race Meeting (a.k.a. "The Hunt") brought J. Crew-clad crowds to Jersey, and more!